The Craftsman name brand is generally synonymous with quality when it comes to tools. Sears built its reputation partly on the Craftsman brand, especially Craftsman hand tools. However, the Craftsman name has been used for other Sears products, such as its line of chainsaws. Some of the older vintage model chainsaws may be worth fixing or refurbishing if you can find the necessary information and parts for them. Craftsman chainsaws have a long history with Sears. Finding sources of information about old Craftsman chainsaws is no easy task. The Internet is replete with obscure references to various Craftsman models, but most of these are found on forums where owners of these older models are looking for specific information about their particular model. Two sources where you can find a significant number of owner's manuals for old Craftsman chainsaw models are InstructionSheetscom and ManualsOnlinecom. Most of these are posted as downloadable PDF files that you can either save or print for future reference. Many of the people researching particular models of old Craftsman chainsaws are looking to track down parts or troubleshoot a particular problem. One source of information on specific parts is the Sears Parts Direct website at SearsPartsDirectcom. This website will allow you to search by model number to find the part you seek. This will be your most comprehensive source of information aside from the owner's manual, provided you have the model number available. If you have a problem with a specific model of Craftsman chainsaw, you have three basic sources of information. One of these are the various chainsaw aficionado forums on the Internet. These will sometimes provide recommendations from other owners who have the same problem that you are having. The other source of information, which is maintained by Sears, is the Manage My Life website. Here you can submit your question and get a response from both other website users and qualified Sears expertsThe Craftsman website can also provide you with much of the information you are seeking. Two basic types of Craftsman chainsaws exist. Among the older models, you will find both electric and gas chainsaws. 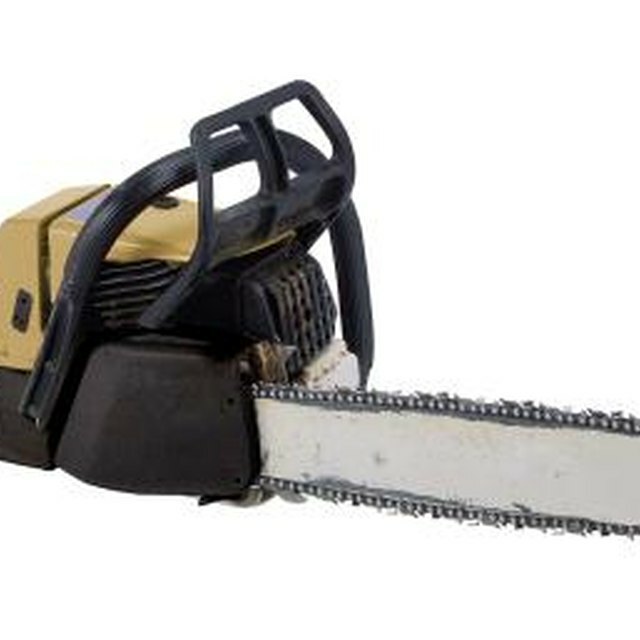 Electric chainsaws came with 12- to 16-inch bars, while the gas chainsaws could be purchased with 14- to 18-inch bars. Gas chainsaws generally came with a one-year warranty, while you could get a two-year warranty with the electric models. Each type also came with different features that made it stand out from the other. For example, gas models came with 40cc engines, with anti-vibration technology built in. Electric models provided features such as its automatic oil lubrication system.